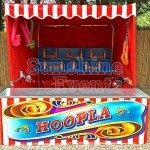 The travelling fair has been a fixture in modern culture since its popularity in the late 19th Century, featuring all kinds of attractions from ringside shows and burlesques to mechanical rides and side stalls. 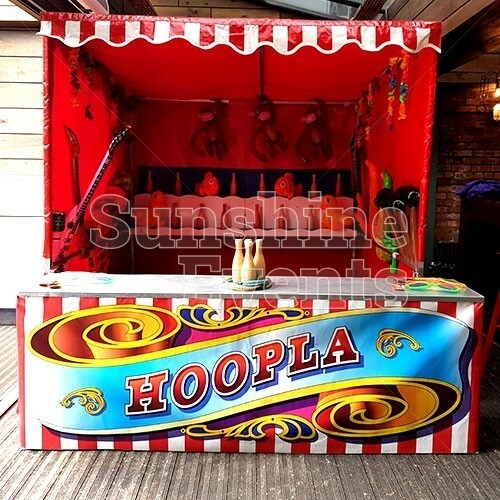 One of the most common stall seen at these fairs is, of course, the Hoopla Stall. 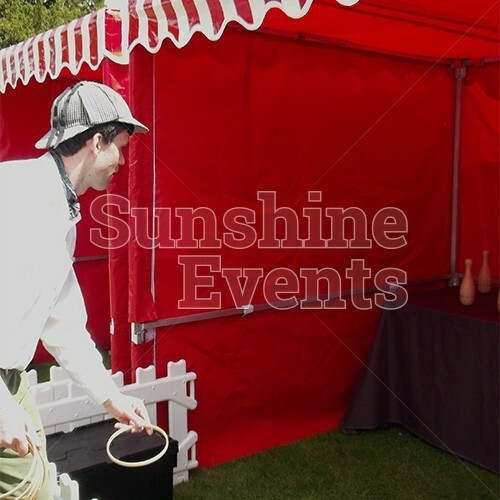 In the olden days, stallholders would trick the customers by showing them that the rings would easily fit over a wooden block, whilst handing them a slightly smaller ring - no such trickery here though - the difficulty comes the players skills at tossing that eponymous hoop! 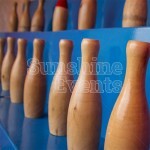 Don’t let anyone distract you as you take your throw! The aim of the game is simple as you are handed some plastic rings which you need to try and throw over the neck of one of the many bottles on target. 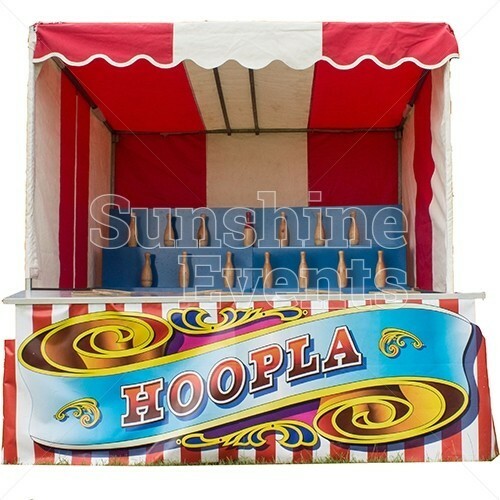 You'll need to judge this perfectly in order for the hoop to drop perfectly over the neck of a bottle. 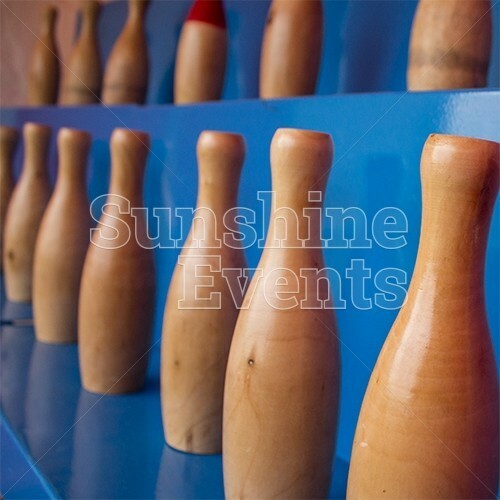 Different sizes and shapes of bottles allow for you to go from the easy to the more difficult, depending on how well your aim is. 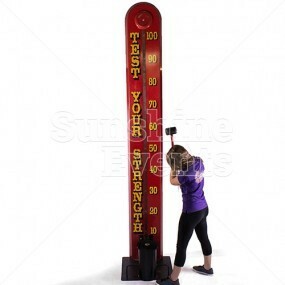 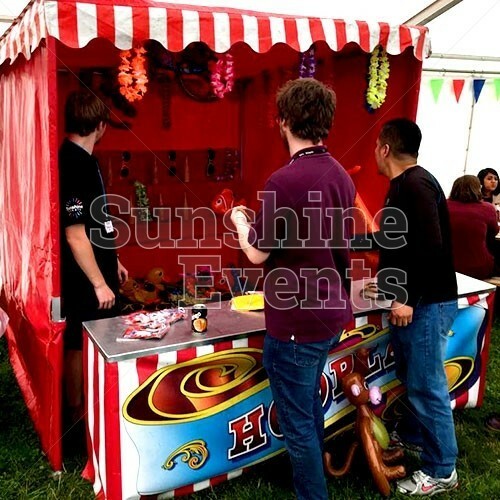 Should you be victorious in your task, there’s a novelty prize waiting for you - 50 are included with every Side Stall hire! 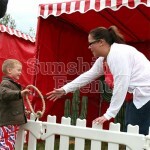 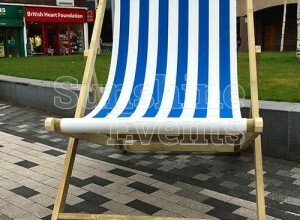 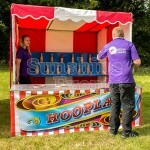 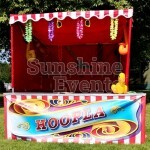 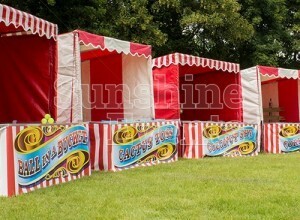 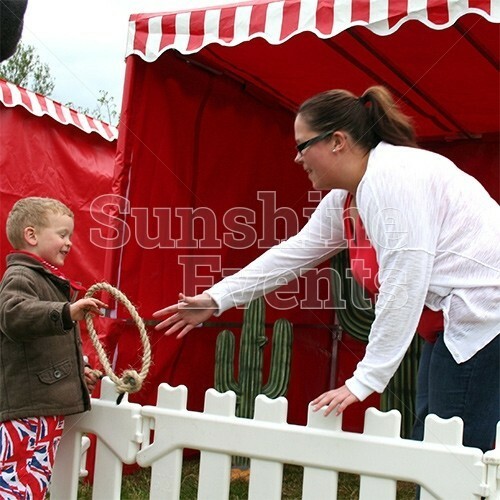 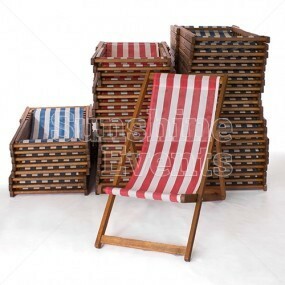 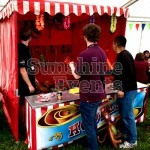 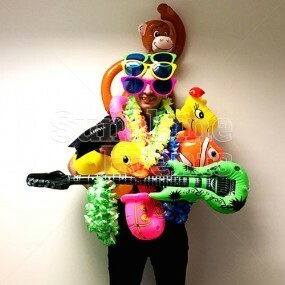 What events are the Hoopla Stall Hire suitable for? 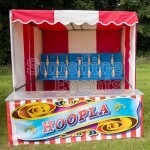 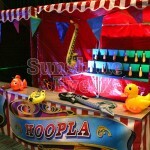 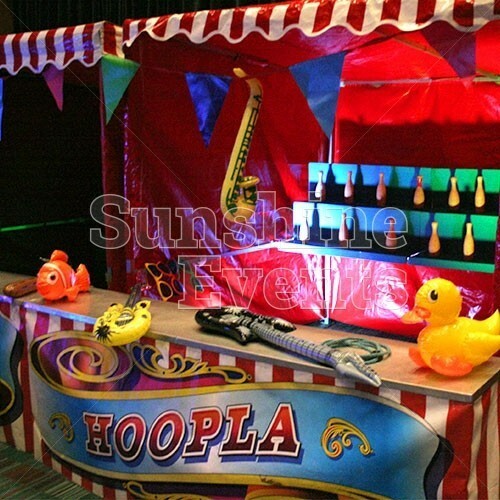 The simplicity of the Hoopla Stall is what makes it a popular attraction at funfair events - often clients use this theme for all kinds of occasions - birthdays, weddings, school parties! 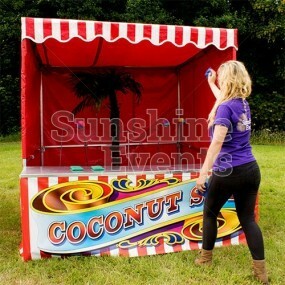 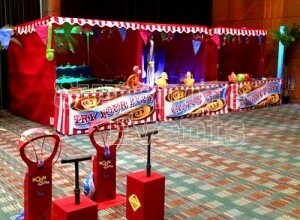 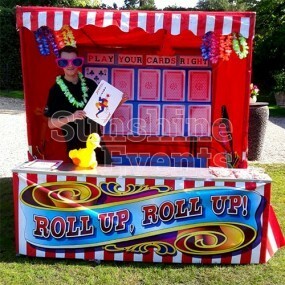 The Side Stall games are amongst some of our most popular hire, so make sure you get your sorted now! 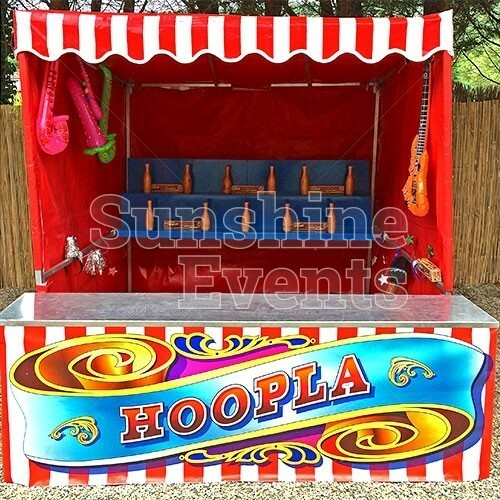 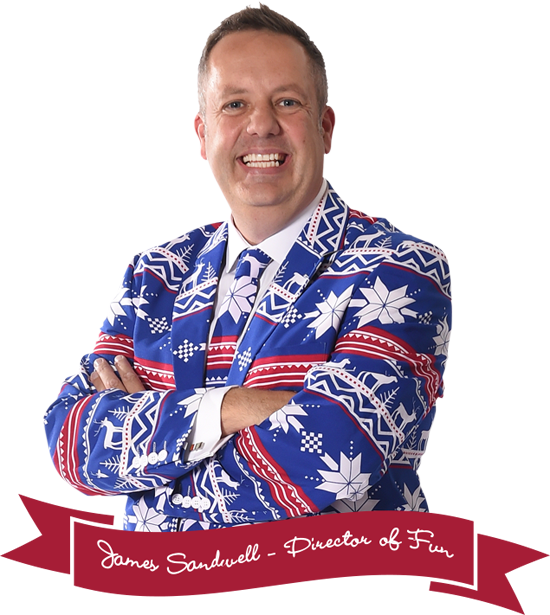 Give the Fun Experts a call and we’ll make sure there’s no hoopla around your Hoopla! 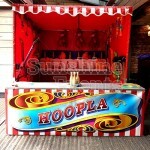 Hoopla Stall Hire has been added to your Event Quote.